“Middle leaders are the engine of any school. In many ways you are the most important leadership group in the school. The most important.” (Sir Michael Wilshaw. 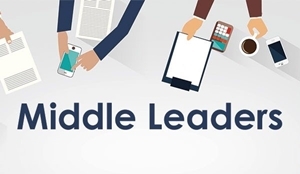 Chief Inspector of Schools in England 2012-2016).This page provides you with a training session that explores the importance of the middle leader. By "middle leader" I refer to coordinators and leaders of subjects or areas within the school.